Desculpe-nos, mas este texto está apenas disponível em Inglês Americano, Espanhol Europeu, 日本語, Čeština y Francês. For the sake of viewer convenience, the content is shown below in this site default language. You may click one of the links to switch the site language to another available language. With casinos as an example, Carlos Cámara started a discussion on the mailing list about the responsibility of OSM to render content on the map, that might be difficult from an ethical or social point of view. Mateusz Konieczny proposes a mechanical edit to change FIXME=* to fixme=*. Both tags are in use, in a few cases on the same object with different values; however, the uppercase variant is less common and actually predates the lowercase one. The long discussion on Talk mailing list involves both the editing procedure and ways to prevent the uppercase variant to be used in the future. Mateusz Konieczny asked the tagging mailing list about how to tag bakeries not selling bread or other bread-like products. As you probably know Germans map a lot, but did you know that they delete a lot, too? A mapper complained that (among other tags) his bicycle=no on highway=footway was deleted without any notice. A discussion of reasons for or against adding default values was started but ended without an agreement. Map Kibera moved to map Mbooni, the second ward in Makueni County, Kenya. They produced a video that shows the challenges they had to face, and the involvement of local representatives and volunteers. The voting for the OSM Awards 2018 is now open. The company Agisoft donated a license of Photoscan Professional that can be used to rectify aerial images. In case you have aerial images that needs to be stitched and rectified, you can contact user dktue. dieterdreist wrote a diary entry regarding OSM Wiki edits and how a mechanism to evaluate them might be needed. Facebook is recruiting mapping experts, reports CNBC. Analysing and improving OSM seems to be one of the purposes according to the job offer. Nathalie Sidibé published a blog post about her participation to the workshop that was held last month in Togo to “train the trainers” from West African OSM Communities with the support of the International Organization of Francophonie (OIF). An article about it was published in WeeklyOSM #410. Nicolas Chavent publishes a Twitter moment about two weeks of OSM and free Geomatics training in Antananarivo (Madagascar) targeted to the local OSM community and stakeholders from the research, development and humanitarian fields. The courses were facilitated with the help of members of Magalasy community and an Ivorian mapper with the support of the International Organization of Francophonie (OIF). Grab, a technology company in Singapore providing ride-hailing, ride sharing and logistics services, is now a Gold Corporate Member of the OSM Foundation. The FOSS4G Belgium 2018 call for papers is open for submission until September 4th. Registration for SotM Japan 2018 in Tokyo is open and the program has been published . Satoshi IIDA asks for mappers and validators after the Osaka earthquake. This is the task. Many mappers are surprised when they stumble onto the low-quality mapping in Africa or Asia. This often relates to HOT mapping activity. 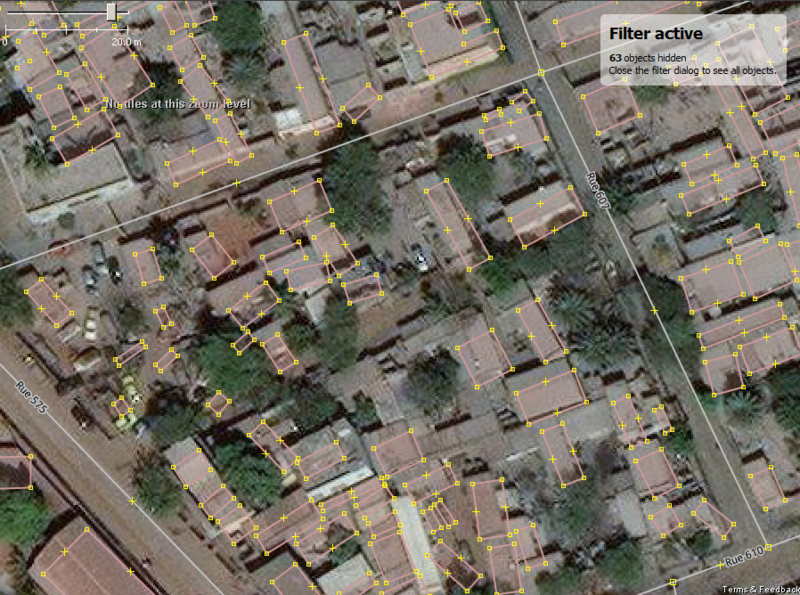 Jean-Marc Liotier has asked, “Why the HOT obsession with low-quality buildings in Africa?”. (picture one, picture two). Another mapper pointed out that buildings serve as a proxy for the local population. The question why low quality buildings or thousands of duplicate buildings dumped to OSM rather than counted somewhere else is still not answered. To address the known issues a duplicate building validator was recently added to HOTOSM fork of OSM Lint, a validator to identify geometry and metadata problems. Using lessons learnt in health mapping in Dar es Salaam, a team from HOT Tanzania have been working on the latest Data Zetu project in Mbeya, which is in the southwest of Tanzania. The team have been training and working with the local community in mapping local administrative boundaries and collecting data about access to health services. In HOTOSM News there is a writeup of new hardware demonstrated at the recent Amazon Web Services Public Sector Summit. This box is a fully offline, 100TB storage, field-deployable version of OpenAerialMap and Portable OpenStreetMap for offline mapping for disaster areas. Wikimedia wikis can now include interactive and embeddable maps presented in the reader’s language. OSM data is used, but wikidata is not. Microsoft released 125 million building footprints in the United States to OSM. 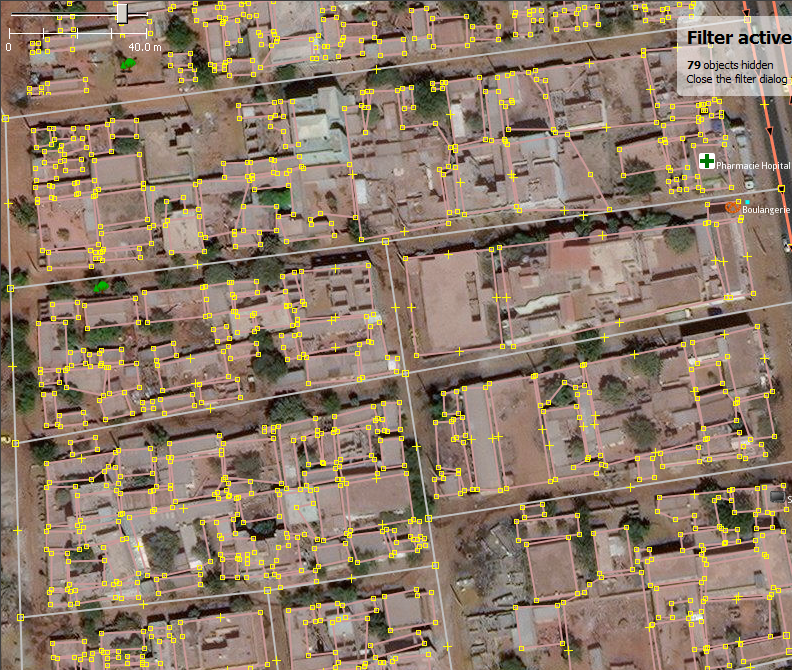 The resulting data and source code to detect buildings from the imagery is available on GitHub. See this thread for a wider discussion on the imports list. User miurahr sent a pull request adding 360 degree panorama photo viewer mode to JOSM ‘s Mapillary plugin. Hyperloop, a project that aims solving performance problems for web applications, made a publication available about how to avoid performance bugs in database-backed web applications and how to solve common issues. A minor suggestion was made with regards to OSM’s database design. The stable JOSM version 13996 (milestone 18.06) has been released. Major enhancements are performance improvements while dragging the map by hiding labels and a new keyboard shortcut to switch layers. The new version closed issues from 42 tickets and came with a lot of other improvements. Apple Maps is being rebuilt, reports TechCrunch. BikeRadar reviewed the Garmin Edge 520 Plus cycling computer. The Daimler subsidiary Moovel published a visualisation called Flights to Rome, showing the global road and flight network based on data from OSM and Flightradar24. Engadget reported that Niantic is opening its AR platform (used by “Pokemon Go”, and soon to be used by “Harry Potter: Wizards Unite”) to third party developers. Space News reports that Planet and Airbus Defence and Space’s geospatial division have agreed to co-develop imagery products that leverage both companies’ satellites. Planet operates more than 150 satellites, mainly Cubesats, with a resolution of 3 to 5 meters and five former RapidEye (5m) and 13 former SkySat satellites (90cm). Some of Planet’s images are provided under CC-BY-NC for non-commercial use (incompatible with OSM). Tank & Rast, an operator of motorway service stations, and IONITY opened the first so called High Power Charging station to decrease the charging time of cars with electric drives. According to ABB, the 350KW that the new stations are able to provide, would allow to charge 200 km of range in 8 minutes. This weeklyOSM was produced by Anne Ghisla, Nakaner, PierZen, Polyglot, Rogehm, Softgrow, SomeoneElse, Spec80, SunCobalt, YoViajo, derFred, jinalfoflia, k_zoar, sev_osm.